Doorman Umbrella extra large | America Galindez, Inc. 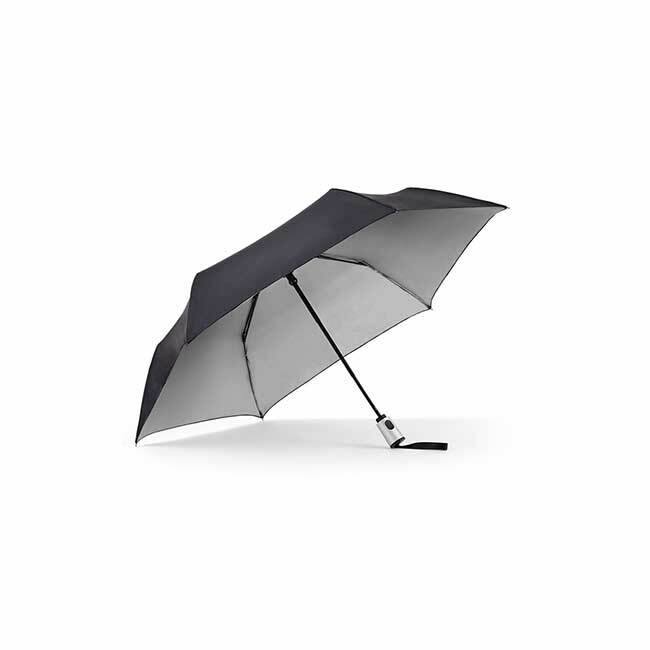 The doorman umbrella is unique in terms of its style and size. 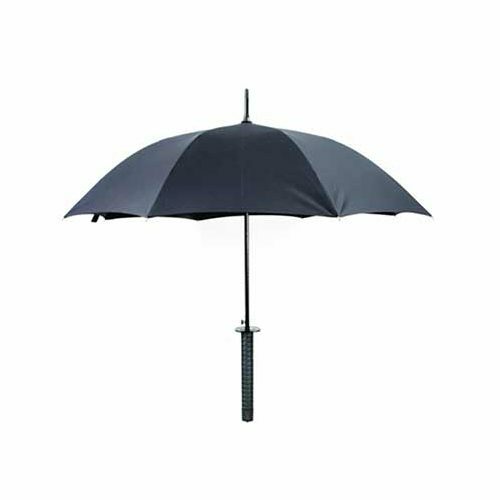 It features the classic and sophisticated styling of a fashion umbrella, with the generous canopy size of a golf umbrella. The Doorman was originally designed for, well, door men who wanted a classy, yet understated fashion umbrella large enough to shelter 2 or 3 people from the elements (depending on the size you choose). 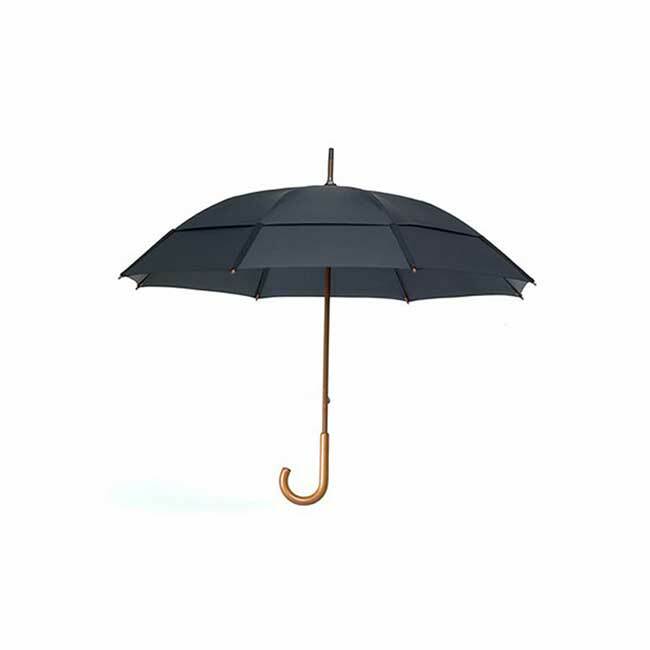 But this one has become popular with anyone looking for a large umbrella that will compliment any attire, and keep you dry in wet and windy conditions. Additionally, it features reinforced frame and patented dual canopy design that make it the world's strongest line of umbrellas. A especially relevant feature is that the doorman umbrella is capable of standing up to winds of up to 60 m.p.h., an amazing testament to its legendary durability. No other umbrella in the world has this combination of sophisticated style, real world functionality, and legendary quality. Try one today! Umbrellas' measures are over the arc (not across the bottom). The measurement will be starting at one tip and measuring over the top to the opposite tip. This distance is larger than measuring the diameter of the umbrella straight across the bottom.